Tickets are available to purchase from the Legion. Some of the best producers from across the North East will be back again, bringing their wonderful food, drinks and crafts to Thistle Street from 10am-3pm. Description: Come along and support the Girls Brigade as they hold a fundraising Coffee Morning in the church Hall! Enjoy a cuppa, fine piece and a good natter as you find out all about the Girls Brigade and what they are up to! Description: Are you interested in finding out more about caring for a pony and some of the basic essentials? Maybe you are considering owning or rehoming your first pony. Our Pony Morning aims to cover some of the basics. This morning session begins at 10.00am till 1.00pm. These mornings are perfect for both adults and children attending together who would like to gain and/or improve knowledge at a introductory level. We ask that all attendees come dressed appropriately for weather conditions on the day with suitable footwear. Description: As part of the Year of Young People celebration, Aberdeen Science Centre is exploring what’s beneath our feet in the Geology Rocks! February half-term event. The world was once ruled by dinosaurs, how do we know what these giants of the past looked like? Fossils are the answer. At Aberdeen Science Centre you’ll get the chance to hold real fossils that are over 100 million years old and find out how fossils are formed. See what you can find in our diamond and dino dig challenge perfect for young palaeontologists. Our rock lab lets you become a geologist for the day and try your hand at rock identification. For younger visitors, take part in a fun and interactive storytelling. Have you ever wondered what happens inside a volcano? Get hands-on with cooled lava and then build and erupt your own volcano. If you have a rock collection Aberdeen Science Centre’s resident geologists will be on hand to talk to you about any rocks you have or answer your geology questions. Geology Rocks! 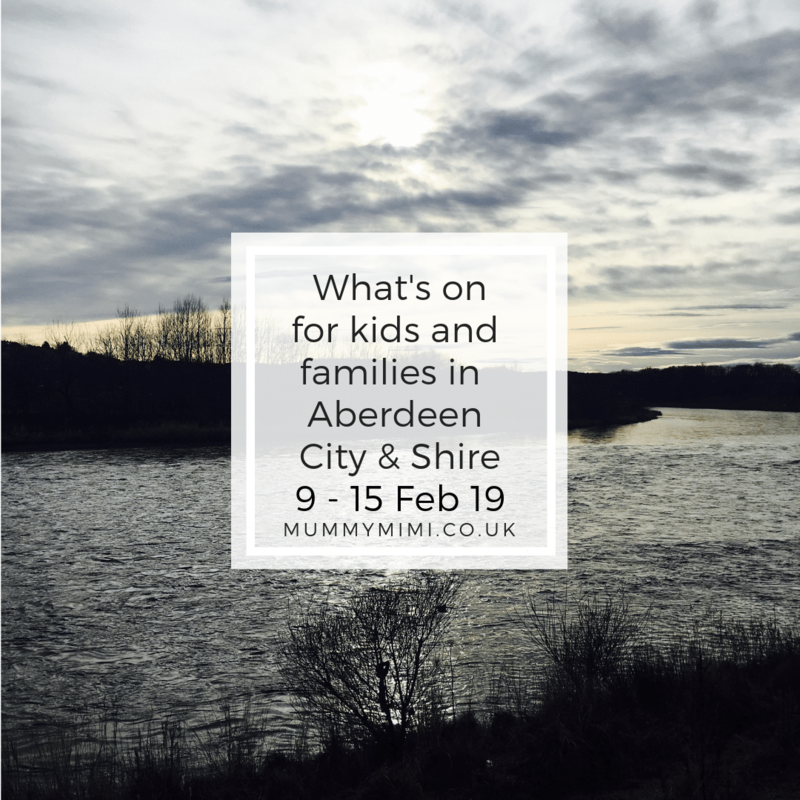 running at Aberdeen Science Centre on Saturday 9th February to Wednesday 13th February. Description: Come along to our Forest Creature party this half term! We’ll have author Pauline Tait joining us and reading Her Fairy in the Kettle stories. There will also be lots of fun craft activities to take part in, including making our own animal ears and animal/fairy puppets! Draw yourself as one of the characters from The Fairy in the Kettle and enter our drawing competition! Description: Love Rara and Sport Aberdeen Beach Leisure centre Open Day! A day where you can come see our new premises met some of our characters and have lots of fun with the family. At the Beach Leisure centre working in partnership with Sport Aberdeen lots to see and do with all the family. Don’t miss out, Prizes to be won and lots of FREE activities! Please note that there is still some charges for swimming and skating on this date. Therapeutic art can be described as creative and expressive form of therapy. The therapeutic creative process of self-expression can improve oneâ€™s physical and mental health. It will also make an impact on our emotional well-being. Description: Experienced Instructor from Aberdeen will come to Fraserburgh to teach our children Salsa dance on 9th of February. Book space for your child/children today to avoid disappointment because we have limited spaces and big interest. Please leave note with your booking to which group you want to sign in your child/children. He has over 13 years of teaching experience both in the field of dancing and Martial Arts. in a few cities in Scotland and also abroad. Daniel created a big Latin dancing community in Aberdeen and provided events with a unique and special atmosphere which had not been discovered before. Daniel has lived and travelled afar to perfect his dancing skills. He has lived in London, Edinburgh and has travelled to Cuba, Barcelona, Paris, Rome, Vienna, Berlin, Athens, Prague and all over the UK to learn from the best of the best. He has managed to spread his passion for Latin dances and has created an amazing crowd in Aberdeen who love to learn salsa and enjoy their lives to the full!!! Description: Join AOC Productions for an evening of songs from the newest musicals and animated films of the last 10 years! We will be performing at the Craig Centre within Robert Gordon’s College in Aberdeen, with two performances at 2.30pm and 7.30pm. Description: Join us what is sure to be a battle on the ice as we take on the Pirates for one of the last few games of the regular season. Always a great game to watch, the Pirates play hard and make us work for every goal we can get past them, as well as bringing a sizeable crowd up the road. Lots of fun off the ice too with our Nando’s Aberdeen Union Square sponsored Chuck A Puck, Shirt Off Their Back, our Pop Up Shop as well as furry frolics with our Mascot #Lennoxthelynx!! We also welcome our match sponsors from Raeburn Christie Clark &amp; Wallace to this game. Description: THE UK’S FIRST AND LARGEST KILO SALE RETURNS! Fun and games – learn how to use chopsticks the fun way or try keepy uppy with a Chinese Jianzi. Dress-up corner with fun dress-up outfits for adults and children. Messy Play Newtonhill-Rumble In The Jungle! Description: Are you ready to Rumble?! Join our messy herd for a roarsome time and slither with the snakes. With lots to explore including our Tiger Rice Tea Party, Jelly Swamp or join the Hippo’s for a med bath. Little ones can squelch, pour, mix and get messy till their hearts content. All you have to do is come along and MESS AROUND and leave the cleaning up to us! Description: Come past the bookshop during the Half Term holidays and join in the fun! On Sunday 10th, Monday 11th and Tuesday 12th we’ll have storytelling sessions of our booksellers favourites at 10:30am and 2:30pm. We’ll also run a drawing competition with a prize to be won so don’t miss out! Family Yoga Sessions are open to all! Children, Parents, Grandparents, Cousins, Aunties and Uncle’s – you name it! The sessions are designed to develop family connection, positive communication and to have a bit of fun! You will learn effective techniques that you can then implement in your own home. – fundraising for Yasmin’s school trip to Nepal to help rebuild a school destroyed in an earthquake. and from the instructors. Or £15 at the door. Zumbawear will be on sale too! Come join the fun. Dance, shop and win! Description: Love Rara Valentine workshop is a craft and entertainment session. Lots of fun dancing, singing and crafts with a snack and juice provided. This event each child is allowed to have one parent attend with them due to capacity if over the age of 6 they can be dropped off and collected after event. Description: Come along and join the Countryside Rangers getting our hands dirty making bird feeders that you can take home for your local birdlife to enjoy! A charge of £3 per child is required to cover material costs. Meet in front of the Hazlehead Park cafe. First Bus 11 or Stagecoach X17 goes to Queen’s Road. Booking essential as places are limited. 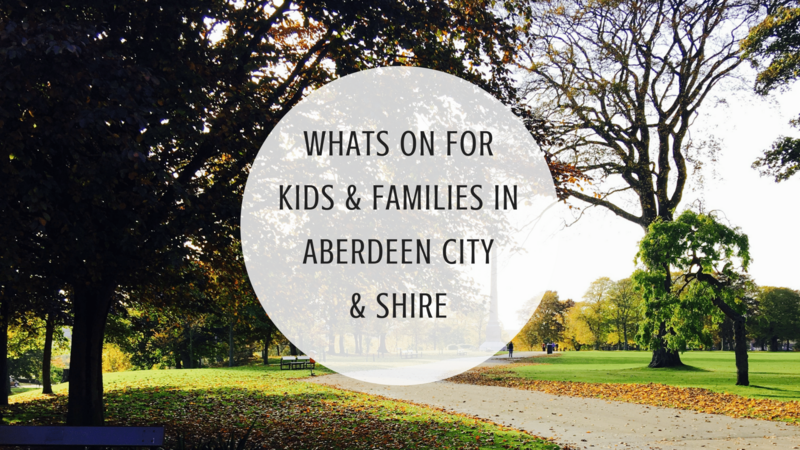 Please call 01224 326 429 or email countrysideranger@aberdeencity.gov.uk to book your FREE place. Perfect for younger children under 7, when accompanied by a responsible adult. Description: Over the year the Rangers have collected lots of scraps of wood left over from projects. Come and help us turn them into bird boxes or feeders which you can take home and hang in time for National Nest Box Week and the nesting season. Perfect for children over 7, when accompanied by a responsible adult. Messy Play Fraserburgh-Rumble In The Jungle!